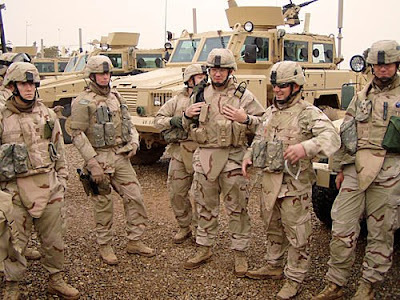 President Barack Obama announced his intention to withdraw American combat forces from Iraq by the end of August 2010, but that a residual force of as many as 50,000 trainers and advisors willh remain in the country until the end of 2011. 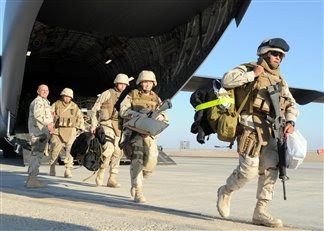 The Status of Forces Agreement between the United States and Iraq requires that all American forces depart Iraq by December 31, 2011. Of course, the anti-war groups that supported Obama during the presidential campaign expressed dissatisfaction with the plan, claiming that Obama promised to withdraw all force within 16 months and end the war. They also argue that leaving 50,000 troops in Iraq until 2011 is not "ending" the war. Perhaps the President has had a reality check after the inauguration and realizes that setting arbitrary dates does not "end" wars, it loses wars. Secretary of Defense Robert Gates would like to maintain a small number of U.S. troops in Iraq even past the SOFA deadline at the end of 2011. Gates says the force would be there to train Iraqi forces and possibly conduct intelligence operations. Gates is correct - we should maintain a troop presence in Iraq for the foreseeable future. However, it goes beyond training the Iraqis and conducting intelligence operations. As long as Iran and Syria are involved in activities that are inimical to American national interests, and Americans continue to rely on oil as a primary source of energy, we need to be in position to conduct military operations in the Middle East. Iraq is centrally located to the area of operations and sits between the two countries that are major obstacles to peace. The U.S. Ambassador to the United Nations accused Iran - rightly - of attempting to develop nuclear weapons and supporting terrorism. Syria is a conduit for Iranian money and weapons to Hizballah, Hamas and Islamic Jihad. 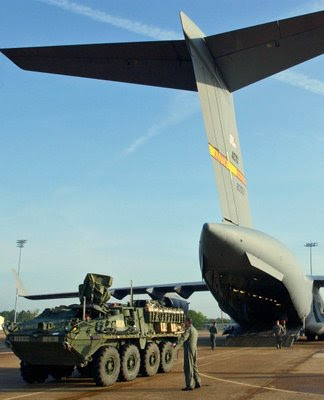 Maintaining an American force presence - especially an air base - reinforces the almost encirclement of the two countries by countries friendly to the United States. Keeping American troops in Iraq would enable us to exert diplomatic pressure backed up by U.S forces. Amidst all the doom and gloom on the economic front, there was some refreshing news today. U.S. Ambassador to the United Nations Susan Rice (left) addressed the Security Council in some pretty undiplomatic language for the vapid organization on the East River. Her remarks included statements such as, "The United States will seek an end to Iran's ambition to acquire an illicit nuclear capacity and its support for terrorism." I do not hold out much hope on either of these issues. Iran is intent on acquiring nuclear weapons and it has been the leading state sponsor of terrorism for over 25 years. There is no reason to believe that any of the Obama administration's efforts will be any more effective than the Bush administration's. Almost every nation that has sought nuclear weapons now has them - Iran is no different. What is refreshing is to have an American diplomat stand up in front of an international forum and directly call out the Iranians. Good for you, Ambassador Rice (and President Obama). I have been critical of American diplomacy toward Iran for some time now, regardless of who has been in power. It is about time to have a senior U.S. diplomat - the ambassador to the United Nations certainly qualifies - stand up and tell it like it is: "We believe you are developing nuclear weapons and are supporting terrorism." Not exactly "diplo-speak" - bravo! The Iranian response was as predictable and ridiculous as its claims have been over the past few years. 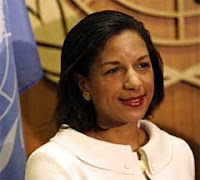 Iranian UN Ambassador Mohammad Khazaee claimed that Rice's remarks were "the same tired, unwarranted and groundless allegations that used to be unjustifiably and futilely repeated by the previous administration. Iran has never and will never try to acquire nuclear weapons and the claims that Iran supports terrorism are baseless and absurd." Khazaee continued, "Instead of raising allegations against others, the United States had better take concrete and meaningful steps in correcting its past wrong policies and practices vis-a-vis other nations, including the Islamic Republic of Iran." No one believes you. Your "nuclear energy program for civilian purposes" is too massive and too protected to be anything but a weapons program. You waste more energy from the flares on your oil wells than all of your nuclear facilities combined could ever produce. Hizballah, Hamas and Islamic Jihad would cease to exist without your support - the entire world watches you resupply them via Iranian air force cargo flights to Damascus airport. Oh, and thanks for the warnings about what we had better do. We will take that under advisement since the Islamic Republic of Iran is the expert on policies and practices toward other nations. We've all known what Iran is about for some time now. It is good that an American administration finally tells it like it is. Of course, it may make direct negotiations with the Iranians a bit more difficult. The Egyptian-mediated talks in Cairo aimed at a long-term truce between Hamas and Israel following the 34-day conflict in December 2008 and January 2009 have been an abject failure. Hamas continues to fire rockets into southern Israel, refuses to stop importing weapons in the Gaza Strip, demands that Israel open its Gaza border crossings and wants the release hundreds of Palestinian prisoners from Israeli jails in return for the repatriation of captured Israeli soldier Gilad Shalit. Israel refuses to talk directly to Hamas and uses the Egyptian General Intelligence Directorate as its interlocutor. Each Hamas rocket launch is met with an Israeli air strike on the smuggling tunnels on the Gaza-Egyptian border or known Hamas facilities in Gaza. Likud Party leader and former Prime Minister Benjamin Netanyahu is attempting to form a new coalition government. Centrist Kadima and liberal Labor have thus far refused to join Likud in a government, creating the real possibility of a far-right coalition. That government will pull out of the talks at the very least, and possibly move militarily to destroy Hamas. In addition to Israel, Egypt and Hamas, participants in the talks thus far have included special envoy Tony Blair, American envoy George Mitchell, French President Nicholas Sarkozy and Palestinian President Mahmud 'Abbas. To make the prospects of progress in the stalled talks even dimmer, the Palestinians have invited representatives of the Popular Front for the Liberation of Palestine (PFLP) and Palestinian Islamic Jihad (PIJ) to join the talks. Fighters from both groups fought alongside Hamas in the Gaza Strip during the conflict with Israel. Bringing in these radical groups almost guarantees the failure of the talks. Israel will not deal with any of the groups, and the three groups are all opposed to the existence of Israel as a state. The PFLP wants to establish a secular Palestinian state in what is now Israel, the PIJ wants an Islamic state in that area, and Hamas wants a wider Islamic caliphate across the Middle East and North Africa. Not only will the talks likely fail, the addition of the radical Palestinians may convince the Israelis to support a hard-liine Likud government with Benjamin Netanyahu as the prime minister. Netahyahu has promised to eliminate Hamas. Most Israelis I spoke with on my recent trip to the Middle East seem to have resigned themselves to the "no-solution solution." They do not see any promise in talking to the Palestianians and will just continue to isolate them at best, and kill many of them when Israel is attacked, at worst. I am afraid the talks are going nowhere. 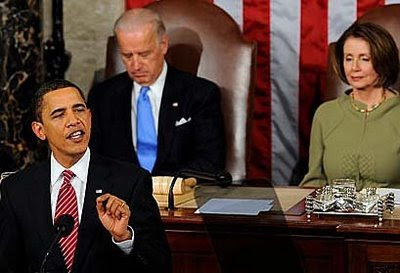 As one would expect, President Obama's address to a joint session of Congress revolved around his pet issues - bailouts, universal education, universal health care, etc. That said, the President made several remarks that caught the ear of this Middle East specialist/analyst. The President spoke about the wars in Iraq and Afghanistan. We all know that the President has just ordered the expansion of the effort in Afghanistan, and decided to continue unmanned aerial vehicle missile attacks into Pakistan's border area. I have not seen any indication that he is going to address the critical issue of command structure in the country (see my earlier article, More American troops to Afghanistan). I have no problem expanding the effort in Afghanistan, as long as it includes the Pakistan border area. The real enemy in Afghanistan - as far as American national security interests are concerned - is not the Taliban. Our real enemy is al-Qa'idah, and most of its fighters are now in Pakistan. America's national security interest in Afghanistan is preventing the impoverished landlocked country from becoming a terrorist safe haven, a "base" (the meaning of the Arabic word al-Qa'idah). If there is a danger of that happening again, we can pound it into submission from the air. If President Obama wants to continue the former administration's efforts in Afghanistan, fine, but explain it in terms of our national interest. Defeating the Taliban is an Afghan national interest, but is it ours? As for Iraq, the President said that he "inherited" the war, but hoped to end it in 18 months. A bit of honesty would go a long way here. Not only did the President inherit the war, he inherited the victory. Yes, I know the word "victory" is hard for the President to say, but it was the blood, sweat and tears of American troops in "the surge" that allows him make these statements. President Obama will be able to withdraw American forces from Iraq in 18 months, not because he was elected or did anything, but because American troops turned the ride of battle. To claim anything else is disingenuous at best, dishonest at worst. Mixed into his statements praising the U.S. armed forces - well-deserved, by the way - was the promise to increase the size of the American military. During the campaign, he advocated increasing the size of the Army by 65,000 troops and the Marines by 27,000. I hope he was serious. Our national interests demand that we commit more than one percent of our population to defending our national interests. It will be interesting to watch - a Democratic anti-war administration arguing for an increase in the size of American forces and aggressively prosecuting a war halfway around the world. The United Arab Emirates announced a series of arms deals this week totaling over $4 billion. The Persian Gulf nation ordered four Boeing C-17 long-range airlifters and 12 Lockheed Martin C-130J tactical airlifters. Earlier, it ordered three Cobra air defense surveillance radars from a European consortium and 12 combat vessels from the Abu Dhabi Shipbuilding Company. In December 2008, the UAE signed a contract for over $3 billion to purchase the advanced version of the Patriot air defense missile system. Seven billion dollars committed to military hardware despite a global economic downturn indicates the importance the UAE attaches to its own defense. The United States and the UAE have a close working military relationship going back to the days of the Iran-Iraq war in the 1980's. U.S. Navy ships conduct more port calls in the UAE than anywhere in the world except the United States itself. U.S. Air Force fighter, reconnaissance, tanker and unmanned aircraft have used al-Dhafra air base for decades. I was the acting defense attaché at the U.S. Embassy in Abu Dhabi for a period of four months in late 1992. At that time, I had great relationship with the UAE military, especially the UAE military intelligence staff. One of the roles of my office and the Security Assistance Office was to advise the UAE military leadership of the threat (my job) and recommend force structure and weapons (the SAO job) for effective defense of the oil-rich country. Given that the main threat to the UAE was (and remains) Iranian adventurism, we advised the UAE defense minister to tailor his country's armed forces to defend UAE airspace and territorial waters against Iranian aircraft and naval vessels. Iran and the UAE have argued over the legal ownership of some Persian Gulf islands for decades. Since then, Iranian missiles have emerged as a real threat to the UAE. We recommended that the UAE develop a first rate air force and air defense system, if necessary at the expense of the ground forces. A navy is important as well, but should be a coastal defense force rather than on ocean-going force. To that end, the UAE has purchased the F-16E/F Block 60 (officially the Fighting Falcon but more commonly called the Desert Falcon). With the addition of the Patriot air defense system, the UAE has a good capability against not only Iranian aircraft and ships, but against ballistic and cruise missiles as well. The C-130J tactical airlifter will be useful to move personnel and materiel around the UAE and the region. There is some question as to why the UAE needs four long-range C-17 airlifters. The official explanation is to support future humanitarian efforts. Fine, but when many fellow Muslims suffered in the aftermath of the 2004 tsunami, there was little relief provided by the Arab states. I suspect the UAE is acquiring airlift capability to assist in bringing foreign (read: American) troops and equipment into the Emirates in case of Iranian (or other) threats. The contract for the four C-17's and 12 C-130J's totals about $3 billion. The per unit cost of a C-17 is about $300 million, and the C-130J about $65 million. Doing the math for that package adds up to about $2 billion. Where is the other $1 billion? When these contracts are made, the package usually includes training and initial maintenance. There is nothing sinister here. We are awaiting the award of yet another high-dollar contract, $7 billion for the Terminal High Altitude Area Defense system that will improve the UAE's anti-balistic missile defense capability. Many have questioned the reliability of our Gulf Arab allies. The UAE has stood with us for decades and with these purchases appears committed to continue that stance. Good allies. I have a few comments on the piece. Selected editorial text is in red. Israel faces a rare opportunity to revive Middle East peace talks with a unity government representing the major conservative, liberal and centrist points of view. Conservative Likud leader Benjamin Netanyahu is tasked with forming a government, but his initial efforts to include the left-leaning Labor and centrist Kadima parties have been rebuffed. If those parties are hoping for a better balance, they could wind up waiting a long time in Israel's cold political wilderness. By balking at Netanyahu's offer, they are pushing him toward a government of far-right extremists, which would bring Middle East peace efforts to a screeching halt. A key point. The centrist Kadima party under Foreign Minister Tzipi Livni won the most seats in the election - 28 seats to Likud's 27 - and clearly has a following among the Israeli electorate. Livni is well regarded in conservative and liberal circles and would be an asset to the harder line Likud. While she may want to lead the opposition since she was not asked by President Shimon Peres to form a new government, her party could bring a lot to a coalition with Likud. it would send a message to the Palestinians that Israel is united in its dealings with Hamas and Palestinian President Mahmud 'Abbas (Abu Mazin). In my recent trip to Israel, many of the officials and journalists that I spoke with believe the greatest short-term threat to Israel is Hamas and the Gaza situation. Iran remains the strategic and "existential" threat to the Jewish state - I was surprised how much less I heard about Iran than I did when I was there two years ago. The third-place finisher in this month's elections was the far-right Yisrael Beiteinu party of Avigdor Lieberman, a man described by various Israel observers as a borderline racist who seeks to force Israel's Arab citizens to swear an oath of loyalty. Lieberman can bring Netanyahu close to gaining the parliamentary majority he needs to govern, but at a steep political price. Moderate leaders are holding out in hopes of negotiating power-sharing arrangements. Kadima and Labor are playing a dangerous game of political chicken at a crucial moment in Obama administration efforts to rekindle peace talks. If Kadima/Livni and Labor led by current Defense Minister Ehud Barak do not agree to join a Likud/Netanyahu-led coalition, Netanyahu will have no choice but to bring Yisrael Beiteinu (Israel, our home) and its 25 seats into the governing coalition. If that happens, Likud will have to make concessions to Yisrael Beiteinu and take a hard line on Israel's Arab citizens, not to mention the stance the resulting coalition will have to take against Hamas. The conservatives' strong showing in Israel's elections shows that a wide swath of the population is fed up with rocket attacks from Gaza and the intransigent stance of Hamas. If Hamas leaders are serious about initiating contact with the Obama administration, a mere cease-fire won't be enough. This is almost an understatement. The Israelis are united in their anti-Hamas stance. The more than 8000 rockets fired into southern Israel from the Gaza Strip since the Israeli withdrawal in 2005 has seen to that. Hamas's stock is pretty low in the United States as well. If Israeli moderates are serious about peace, they must remain engaged from inside the government. An Israeli Cabinet full of extreme right-wingers would be a disaster for all. Mrs Livni and General Barak - hear, hear. 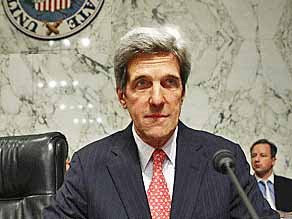 Senator John Kerry, on a visit this week to the Middle East, made some interesting statements while in Beirut. These two passages stand out. "We want Syria to respect the political independence of Lebanon, we want Syria to help in the process of resolving issues with Hizballah and with the Palestinians. We want Syria to help...with the disarmament of Hizballah." "Unlike the Bush administration that believed you could simply tell people what to do and walk away and wait for them to do it, we believe you have to engage in a discussion. So we are going to renew diplomacy, but without any illusion, without any naivete, without any misplaced belief that, just by talking, things will automatically happen." There is a lot of "we" in those statements. One could ask in what capacity Kerry was speaking. The statement that "we are going to renew diplomacy..." is especially confusing. The last I heard, he is chair of the Senate Foreign Relations Committee - that's the legislative branch that makes laws and oversees the executive branch. He is not the Secretary of State, head of the executive branch department charged with the conduct of U.S. foreign policy. That begs the question: Where is the Secretary of State? One would assume she would be engaged in the Middle East. The latest threat assessment issued by the Director of National Intelligence contained 45 pages of text - 19 were devoted to the Middle East. Senator Kerry's office did state that the trip to the region had been coordinated with the White House. I hope that the talking points in the above passages were not provided by the White House. If so, I worry about the new administration's foreign policy process. Hizballah has refused to disarm, although it has committed to do just that numerous times. For a brief discussion of Hizballah's abysmal history on living up to international agreements, including United Nations Security Council resolutions, see my recent article, Hizballah has the "right" to air defense weapons? I am puzzled by Senator Kerry's proposal that Syria help with the disarming of Hizballah. No one would be happier than me if my former antagonists at Syrian Military Intelligence (SMI) and Syrian Air Force Intelligence (SAFI) were to take on disarming Hizballah. I spent a significant part of my career working against Hizballah, not to mention SMI and SAFI. SAFI agent Nizar Hindawi's attempts to smuggle a bomb onto an Israeli airliner in 1986 caused me no end of grief - that is another story. Hizballah, literally "the Party of God," was created by the Iranian Islamic Revolutionary Guard Corps with Syrian Military Intelligence assistance in Lebanon's Biqa' Valley in 1982 as a reaction to Israel's invasion of Lebanon, the "Peace for Galilee" campaign. Hizballah has grown into the most effective irregular military force in the world. Syria, as well as Iran, uses the group as a proxy military force in Lebanon. In the aftermath of the 2006 war between Hizballah and Israel, Iran - via Syria - resupplied Hizballah. Hizballah is now a - if not "the" - major power broker in Lebanese politics. Hizballah provides a unique capability for either Iran or Syria to exert political pressure on Israel with plausible deniability. What a great capability for the Syrians - to be able to manipulate events in Lebanon without a military presence. The thought that Syria would help to disarm Hizballah, to dismantle Damascus's proxy capability, without significant concessions is hard to believe. What is Senator Kerry proposing we give the Syrians as an incentive, and why is he and not the Secretary of State making the case? President Barack Obama has ordered the deployment of 17,000 additional American troops to Afghanistan. This will bring the total number of U.S. forces in the country to almost 50,000. While that sounds like a formidable force, when you look at the command structure in place in Afghanistan, it is not the case. The 32,000 American troops in country now are not all under American command. Almost half - 14,000 - are assigned to NATO's force of 50,000 troops. Effectively, they are not American troops, but NATO troops. Anyone who has ever served with or dealt with (I have) NATO realizes what that means: bureaucracy and inefficiency raised to an art form. One only hopes that the additional American forces are being assigned to the American-led coalition force commanded by an American general and not to the NATO force. There are multiple problems with the NATO force in Afghanistan. Among them is the fact that NATO forces are commanded from Belgium, and there are numerous restrictions - the "rules of engagement" - on the employment of troops imposed by the host countries. For example, German forces in the country are severely restricted in engaging the enemy. See my earlier article, German soldiers in Afghanistan - don't shoot the bad guys!. The presence of a NATO force separate from the coalition force led by a U.S. Central Command (CENTCOM) general creates operational problems. NATO units - including the 14,000 American assigned to NATO in Afghanistan - receive orders via the NATO command in Belgium. 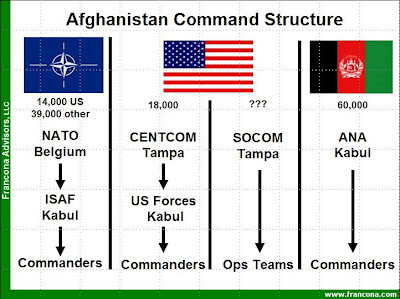 American units assigned to the American-led coalition receive orders from CENTCOM, while Afghan National Army units are separate from both NATO and CENTCOM (see chart). Anyone who has attended any military staff college anywhere will recognize the problems with this arrangement. See my earlier article, American troops in Afghanistan deserve a better command structure. The troop increase is part of an ongoing review of American operations in Afghanistan. That review should address the broken command structure - someone has to be in overall command. Given the U.S. commitment in terms of troops and resources, it makes sense that the American force commander should be directing all military operations in the country. The review should also address the paltry commitments by many of our NATO allies. The troops doing almost all of the fighting are the Americans, British, Canadians, Dutch and Polish. If NATO is to be an effective organization in the future, it has to function effectively now. American commanders want to double the 17,000 troop increase. Perhaps if there was a workable command structure and a bit more commitment on the part of our allies, that number may not need to be so high. According to Shaykh Hasan Nasrallah, leader of Hizballah, his group has the "right" to possess and use air defense weapons. Nasrallah made this pronouncement at a ceremony marking the one-year anniversary of the assassination of infamous Hizballah operations chief 'Imad Mughniyah. Mughniyah was killed in the upscale Kafr Susah section of Damascus - virtually everyone believes the Israelis were responsible. Why Nasrallah believes Hizballah has the right to possess air defense weapons is puzzling. According to the United Nations Security Council Resolutions and other agreements Hizballah has signed, Hizballah should not even have an armed militia. There is a litany of broken accords, including the Ta'if Accords of 1989 and UNSCR 1559 of 2004. Both call for all militias in Lebanon to be disarmed. All militias except Hizballah adhered to the agreements and disbanded. Hizballah has refused to disband its militia, claiming that Israel was not in compliance with previous UN resolutions (UNSCR 425 and 426) calling for Israel to withdraw from Lebanese territory. Israel claims that it has complied with UNSCR 1549 when it left Lebanon in 2000. The United Nations has certified Israel to be in compliance. Hizballah claims Israel still occupies some Lebanese land - the Shaba' Farms. It's a myth, but no one is willing to call Hizballah on it (see my earlier post, The Shaba' Farms - Hizballah's Fig Leaf.) This myth is Hizballah's justification to maintain what it calls "The Islamic Resistance." The latest agreement to be ignored by Hizballah is UNSCR 1701. It is also ignored by the United Nations Interim Force in Lebanon (UNIFIL) which is tasked with its enforcement. 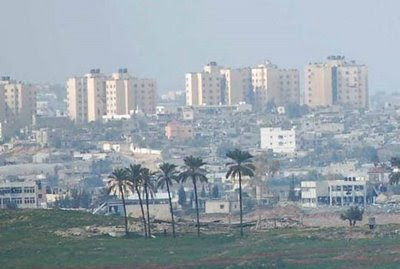 This resolution ended the fighting between Hizballah and Israeli forces in the summer of 2006 and calls for Hizballah to remove its fighters from south of the Litani River and turn in its heavy weapons. UNIFIL was expanded and given the specific mandate to prevent the rearming of the militia. None of this has happened. In fact, after the fighting in 2006, Hizballah has emerged as the key power broker in Lebanon. It has de facto veto power in the Lebanese Parliament and openly brandishes its heavy weapons - Syria and Iran have completely replenished Hizballah's stocks to greater than pre-conflict levels with absolutely no interference from UNIFIL. 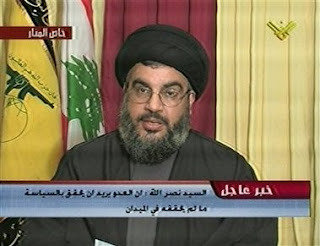 In his statement, Nasrallah also added that Hizballah would fire on Israeli aircraft that routinely violate Lebanese airspace. Hizballah is generally believed to possess ZU-23 antiaircraft artillery guns and shoulder-fired SA-7 and SA-18 surface-to-air missile systems. None are capable of reaching the daily Israeli medium or high altitude reconnaissance flights. If Hizballah plans to acquire more-capable missile systems - there are rumors that they want the SA-8 GECKO - they should reflect on the history of air defense weapons in Lebanon. In 1982, Syrian forces moved SA-6 missile systems into Lebanon. They were struck almost immediately by Israeli aircraft. Introduction of these types of air defense missile systems is an Israeli red line. It's pretty simple: if Hizballah brings them into Lebanon, Israel will destroy them. 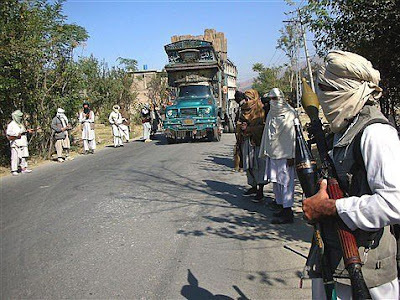 On February 16, the Pakistani government made a deal with a group of Taliban militants in the Malakand region. 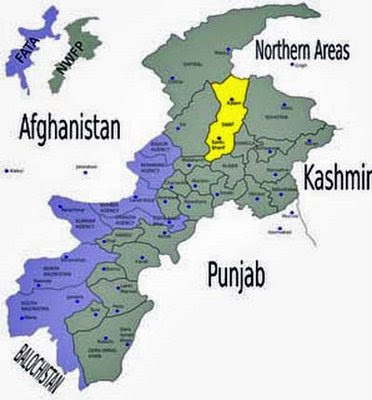 That region includes the Swat area - 100 miles northwest of the capital of Islamabad - which allows the group to establish fundamentalist Islamic Shari'ah law in that region. In return, the militants have agreed to a ceasefire with the Pakistani military. There are areas of Pakistan, the Federally Administered Tribal Areas (FATA), that are semi-autonomous. These areas - in blue on the map - are between the border with Afghanistan and the North West Frontier Province (NWFP). The NWFP is shown in green. The Swat area - shown above in yellow - is not in the FATA. Swat is well within the NWFP, part of the totally sovereign area of Pakistan proper. Well, at least it was until this agreement was signed. The acquiescence of the Pakistani government to enter into this type of agreement with a group of fundamentalist Islamic clerics is pathetic. The government is acting tactically, not strategically. They hope to stem the rising tide of violence in the region, violence instigated and perpetrated by the Taliban active in the area. They need to address the long-term interests of Pakistan. The Islamic group that the Pakistani government has dealt with has beheaded people, burned girls schools and taken on the sovereign government. These actions are consistent with the strict interpretation of Islamic law, the Shari'ah. Yet, the agreement for a ceasefire between Pakistan's armed forces and the militants includes a provision that this same Shari'ah law will be implemented in the region. The chief minister in North West Frontier Province, Amir Haider Khan Hoti, claimed that Pakistani troops would revert to defensive operations, fighting only when attacked. They will standby as the courts implement Shari'ah law. That means that Muslim clerics will "advise" judges on cases. In reality, fundamentalist Taliban clerics will run the courts. Technically, the agreement does not ban female education - we'll see. When the Taliban seized power in Afghanistan, girls were barred from schools. These are the people the Pakistani government, our allies in the war on terrorism (read: war on radical Islam), made a deal with? If this agreement was focused on an area in the FATA, one might understand. This agreement deals with territory in Pakistan proper. What's next? Give the city of Quetta or Karachi to the Taliban? In the last few weeks, while everyone's attention has been focused on the yet unproductive Egyptian-brokered talks between Israel and Hamas over Gaza, the Israeli army has delineated more Palestinian land for Israeli settlement expansion on the occupied West Bank. Israeli settlements in areas that the Palestinians consider part of their future state are a sensitive and controversial issue. Over the years, Israeli governments have made commitments to stop the development of new settlements in the occupied territories. The presence of Israeli settlers is an obstacle to the eventual return of occupied territory to either the original owners or the Palestinians. This was the case with the return of the Sinai to Egypt and the withdrawal of the Israelis from Gaza in 2005, and it will be an issue with the return of the Golan Heights to Syria. 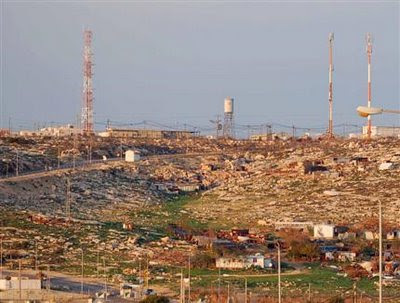 The Sinai, Gaza and the Golan issues pale in comparison to the ramifications of the settlements on the West Bank. The Israelis are split over whether they should ever return all of the West Bank to the Palestinians. Many believe that the lands are rightfully part of Israel - those who favor this position refer to the West Bank as Judea and Samaria. They also support the expansion of Jewish settlements in the area to provide in-depth security to Israel. Not only do settlements create an Israeli presence in the territory, protection of these Israeli citizens requires the continued presence of Israeli troops. The Israelis that support the principle of "land for peace" favor the return of almost all of the West Bank for the creation of a Palestinian state. There are three blocs of settlements that almost all Israelis believe should remain under Israeli control, mostly for security reasons. These Israelis also are willing to redraw the borders slightly to provide compensatory land to the new Palestinian state. Palestinian President Mahmud 'Abbas (Abu Mazin) warned that continued settlement expansion would halt peace talks. Unfortunately, Palestinian actions have robbed 'Abbas of any credibility. When the Israelis withdrew from Gaza in 2005, they uprooted many settlers by force. It took only hours after Israeli troops pulled out of Gaza for attacks to begin. Since 2005, over 8,000 rockets and mortar rounds were fired at southern Israel, and continue to this day. Many Israelis look at the West Bank and wonder why they should remove the almost 300,000 settlers and turn the area over to the same people that refuse to stop shooting at them from Gaza. Remember, Israel is as narrow as 7.5 miles in areas adjacent to the West Bank. 'Abbas said recently that peace talks will only resume after Israel declares a freeze on new or expanded settlements. If Benjamin Netanyahu becomes the next prime minister, the talks are over. Netanyahu favors expansion of the settlements and has gone on record saying that talking to the Palestinians is a waste of time. He favors the "no-solution solution." See my earlier article, Israel-Palestinians: The "no solution" solution. 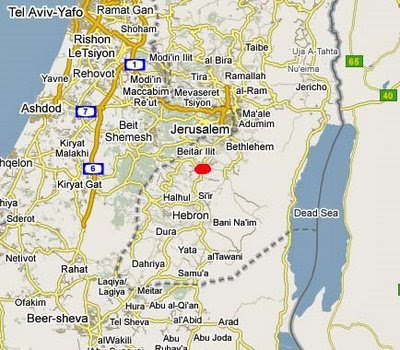 The proposed new settlement area sits on the main road between Jerusalem and Hebron. 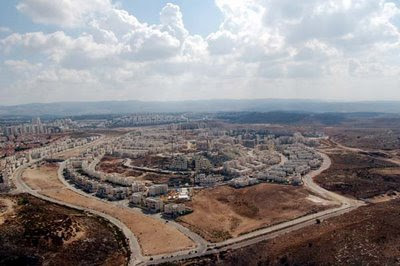 It is very near the existing settlement of Efrat, home to 1,600 families. The new settlement will house as many as 2,500 additional families over an area of 425 acres. Saudi Arabia's King 'Abdallah issued a series of orders recently that hopefully will begin long overdue reforms in the oil-rich kingdom. Long regarded as an ultra-conservative Islamic state with little tolerance for other religions or value systems, Saudi Arabia is a major foreign policy concern for the United States - it will remain so as long as we are dependent on fossil fuels for energy. King 'Abdallah of Saudi Arabia, as all the country's kings before him, must tread lightly when making reforms, especially when the reforms impact on the Islamic nature of the society. 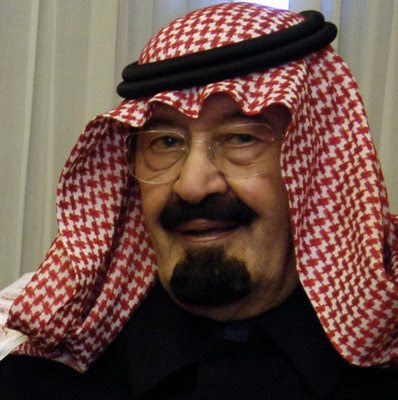 The social contract between the royal family - the House of Sa'ud - and the people is almost totally based on religion, in this case the Wahhabi sect of Sunni Islam. One of the sensitive and controversial elements of Saudi society is the religious police, the mutawa'in, the short name for the Commission for the Promotion of Virtue and Prevention of Vices. 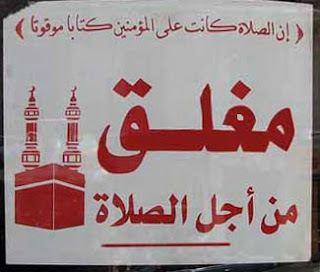 These zealots enforce Koranic law - they ensure that businesses close during prayer times (the sign to the left reads "Closed Because of Prayer [time]"), that men and women are not engaged in any prohibited social contact, that women are dressed appropriately in public, there is no alcohol in the country, etc. On February 14, the king replaced the hard-line head of the religious police with a more moderate cleric. There will be outcries from the ultra-conservative religious leadership, but based on my time in Saudi Arabia, it will be welcomed by most of the population, both Saudi and foreign. It is of note that the king chose to make this replacement on the Western (Christian) holiday of Valentine's Day. The mutawa'in had mounted a very unpopular campaign to prevent any celebrations by Saudis, to the point of prohibiting items colored red from being sold in stores. In addition to replacing the head of the religious police, King 'Abdallah expanded the membership of the Grand 'Ulama' (religious scholar) Commission to include representatives of branches of Sunni Islam other than the Wahhabis. This move is more than cosmetic - it will change the autocratic hold the Wahhabis have had on religious thought in the kingdom. This is not without risk. The changes go even further. The head of the Supreme Council of Justice, Saudi Arabia's highest administrative court, was removed as well. The fired jurist, Shaykh Salih al-Lahaydan, gained international attention last fall when he ruled that is was legal to kill the owners of satellite television stations that broadcast "immoral" programs. Given the actions of the religious police over Valentine's Day, I can guess what al-Lahaydan's definition of "immoral" might be. Of note, the king also appointed a woman to be Prince Faysal's deputy minister for girls' education. Remember, this is a country where women still cannot drive automobiles. She is the first woman to be appointed to this level in the Saudi government. 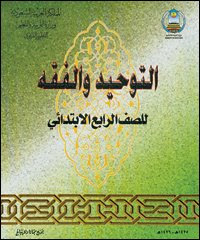 The Saudi education system has been an issue between the United States and the kingdom for years. Since 15 of the 19 hijackers that perpetrated the September 11, 2001 attacks were products of the Saudi education system, Americans have demanded reforms in the anti-Western, anti-Jewish and anti-Christian curriculum. To be fair, the curriculum also targets many non-Wahhabi Muslim sects as well. With the expansion of the religious leadership council and the appointment of Prince Faysal as education minister, there may be hope for change. The U.S. State Department has been working since at least 2003 with the Saudi Ministry of Education to alter the curriculum. Although Saudi Arabia has claimed it has changed the textbooks by editing out the more offensive sections, studies over the last two years show that is not entirely the case. King 'Abdallah's shakeup of the power structure in the country is far-reaching. It is also long overdue. Perhaps they will yield positive change in the kingdom. For the last few weeks, there has been a constant stream of announcements from the Egyptian negotiators that a long-term truce agreement between Israel and Hamas was imminent. It sounded like there were only a few remaining obstacles that were about to be worked out. Just a few days ago, there was a statement from Musa Abu Marzuq, deputy leader of Hamas, that the group had agreed to an 18-month ceasefire and that Egypt would announce the truce by February 14. What Marzuq meant to say was that Hamas and Egypt had agreed to terms for a truce. Apparently, they neglected to secure Israel's agreement to those terms. One of Hamas's key demands is that Israel open the border crossings and lift the restrictions on the importation of anything other than humanitarian aid. Israel is willing to do this under on the condition that someone other than Hamas controls the border crossings with Egypt. 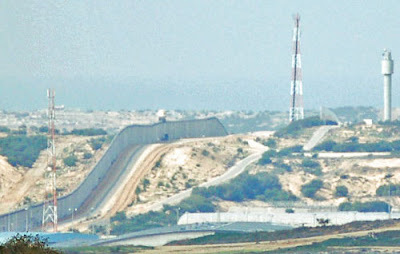 It is that border where virtually all of Hamas's weapons enter the Gaza Strip. There also needs to be an inspection or observer protocol to ensure that no additional weapons are smuggled into the Gaza Strip. However, Hamas claims that it has already replenished much of the weaponry used or destroyed in the conflict with Israel. Another issue in which Hamas may have not coordinated fully with Egypt is the fate of Israeli soldier Gilad Shalit. Shalit has been in Hamas custody since he was captured in a 2006 raid on the Israel-Gaza border. Marzuk said that Shalit's release - in exchange for the release of hundreds of Palestinian prisoners in Israeli jails - would be settled "later." 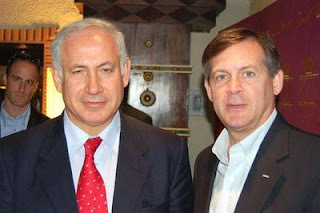 Today, Israeli Prime Minister said that Shalit's release is not an issue for later, but an integral part of this truce agreement. For now, the negotiations brokered by Egypt seem to have stalled. This is yet another instance of Hamas and Egypt agreeing on a set of conditions and claiming a breakthrough in the talks. The problem is that Egypt and Hamas are not the two opposing sides, Hamas and Israel are. Egypt's agreement is meaningless unless they can sell it to the Israelis. Thus far, they have not. Egypt wants to be successful in this mediation effort. It needs to make itself relevant again in the Middle East. Unfortunately, it does not appear to have sufficient influence with Hamas to deliver the conditions Israel considers the minimum to agree to a truce. Pressure will continue to mount on Hamas to acquiesce to Israel's demands. The Israeli government has broad popular support for standing firm against Hamas and will continue to respond to the occasional Hamas rocket attack with punishing air raids and tighter border restrictions. Hamas and the people of Gaza whom they claim to represent, on the other hand, suffer more each day. What do Syrian Air*, the national airline of Syria, and Tuesday's elections in Israel have in common? More than you might think. 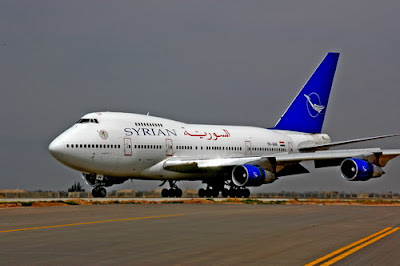 The U.S. government has given clearance to the Boeing corporation to overhaul Syrian Air's two Boeing 747SP aircraft, a reversal of the previous administration policy to isolate Syria. The Bush administration re-added Syria to the state sponsors of terrorism list in 2004 in response to Syria's complicity in allowing al-Qa'idah fighters to cross its borders into Syria. The two aircraft have been grounded for airworthiness issues for a year. Syrian President Bashar al-Asad hopes the Obama administration will be more open to better relations with Damascus. The Syrian Air deal might be a small gesture on the part of the new American administration to signal its intention to improve relations and re-engage on the Syria track of the moribund Middle East peace process. The deal comes at a good time for Syria. Not only are the two 747's inoperable, but a multibillion dollar deal with Airbus to acquire (a combination of purchase and lease) over 50 new aircraft had been held up by the previous administration - Airbus aircraft contain American components. The approval of the Boeing contract coincides with an upcoming trip to Syria by two senior American politicians. Senator John Kerry, chairman of the Senate Foreign Relations Committee, and Congressman Howard Berman, chairman of the House Foreign Affairs Committee, will travel to Damascus to meet with President Asad. Unlike House Speaker Nancy Pelosi's misguided trip to Syria two years ago, this visit has the support of the White House. One must assume (and hope) that Kerry and Berman have been provided talking points by the administration. A change of policy toward Syria is a good idea. The previous administration's efforts to isolate Syria failed. After Syria was forced to withdraw its forces from Lebanon in 2005 after being accused of complicity in the assassination of former Lebanese Prime Minister Rafiq al-Hariri, Damascus has been successful in recovering its influence in the region, mostly via continued support for Hizballah. AS an aside, I don't think the Syrians were "complicit," I think they outright did it. Without Syrian support for Hizballah during its war with Israel in 2006, the group would have been destroyed. Now Hizbllah is arguably the key power broker in Lebanon - and it does the dabkah (national dance of Lebanon) to the sounds of a Syrian 'ud (lute). It has also been reported that Fred Hof will be appointed as the new ambassador to Syria - and he will actually man hs post. Although we have had an ambassador to Syria since 1952 (except 1967-1974), the current ambassador has been in a "recalled to Washington" status since the Hariri assassination in 2005. Fred is a retired U.S. Army colonel with extensive experience in the region and is the right man to re-engage the Syrians. So what does all this have to do with Israeli elections? The results, with almost all the votes counted, point to a slight Kadima win, getting 28 seats. (See my article, Israeli Elections - And they're off....) Kadima is led by Foreign Minister Tzipi Livni. Likud, under former Prime Minister Benjamin "Bibi" Netanyahu, garnered just one less seat. Many observers - me included - believe that Mrs. Livni will find it difficult to forge a coalition. She needs 61 seats to form a government. Mr. Netanyahu may have a better chance of forming a coalition. If he does, he will emerge as the new prime minister of Israel. That would be a potential problem - to put it mildly - for President Obama's efforts to advance the Syrian track of the peace process. Why? During one of his campaign appearances just prior to last Tuesday's election, the Likud leader said that if he became prime minister, he would oppose returning the occupied Golan Heights to Syria. 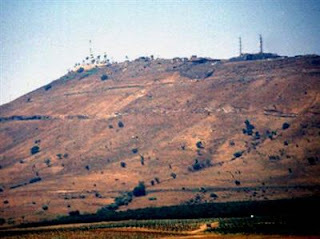 Return of the Golan Heights is the absolute minimum Syrian requirement for a peace agreement between Israel and Syria. An Israeli position that the return of the Heights is off the table effectively ends the Syrian track of the peace process. No matter what the Obama administration does, no matter how much better U.S.-Syrian relations become, it will never lead to success in ending the state of war between Syria and Israel. In fact, the ascension of Netanyahu may push Syria to continue to seek advanced weaponry, conventional and other. Syria already has chemical weapons and the means to delivery them - both aircraft and missiles - virtually anywhere in Israel. Although their clandestine nuclear reactor in northeast Syria was destroyed by Israel in September 2007, Damascus may still seek a nuclear capability. Most Israelis realize that the Heights are not, and have never been, part of Israel. The area has been occupied by Israel since it was seized by Israeli troops in the 1967 Six Day war. The area has been under Israeli administration - not annexation - for years. The arguments that the Golan Heights has strategic defense value no longer hold water. Syria does not need the plateau overlooking Lake Tiberias/Sea of Galilee (photo left)to strike those areas. 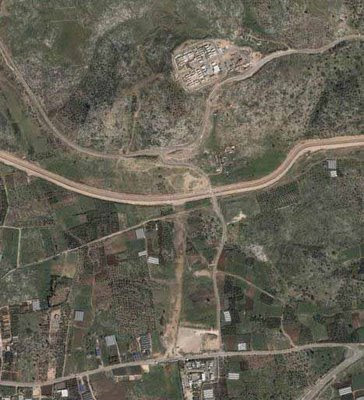 Israel does have a valid concern about the loss of its huge signals intelligence site (photo right) on the Golan Heights at Tal Abu Nada/Har Avital (depending on whose map and language you use). 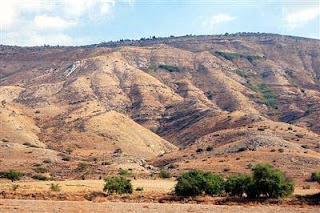 More importantly, the Golan Heights are the headwaters of the Jordan River, one of Israel's primary sources of water. The juxtaposition and confluence of interests is astounding. The United States, or more correctly the Obama administration, wants to improve its relationship with Syria. It also has a commitment to its ally in the region, Israel, which has taken a stance that basically kills the peace process. The Israeli election results are in - surprisingly, the centrist Kadima Party led by Foreign Minister Tzipi Livni (left) emerged as the victor with a one-seat margin over rival Likud, led by Benjamin "Bibi" Netanyahu (below with author). According to the Israeli press, Kadima won 28 seats and Likud received 27. As for the two other major parties, Avigdor Lieberman's Israel Beiteinu won 15 seats and Labor, led by Ehud Barak, received just 13 seats. These results show an interesting trend in the Israeli body politic. Netanyahu was able to increase the conservative Likud's position by 15 seats, from 12 to 27. The far right Israel Beiteinu gained four seats, up to 15 from 11. The orthodox Shas party, normally associated with the conservative bloc, lost one seat, from 12 to 11. On the other side of the spectrum, Labor was the biggest loser, giving up six seats. Kadima was pretty consistent, losing only one seat. Given those results, it would appear that Israelis have turned a bit to the right. However, due to Israel's complicated parliamentary system, the election results are only another step in the formation of a new Israeli government. The Knesset consists of 120 seats - to form a government a party or coalition of parties must control 61 seats. Tzipi Livni will now have six weeks to form a coalition government. Whether or not she will succeed in putting together a coalition is uncertain. She failed to form a new government when Prime Minister Ehud Olmert resigned in September 2008. After the election results were announced this evening, she called on Netanyahu and his Likud Party to join her government. That would give her 55 seats, requiring only six more to form a government. Netanyahu refused to concede, assuming that Livni will be unable to put together a coalition. He believes that he can, though, by appealing to the more conservative parties. It is probably safe to assume that Lieberman's ultra-right party will eventually throw their 15 seats to Netanyahu, giving him 42 seats. Lieberman made a statement that he is open to either Kadima or Likud, but given his party's far right positions - they want to eliminate Hamas, for example - Likud is a better fit. His statement is an effort to give him more leverage in his negotiations with Netanyahu. Since it does not appear likely that Netanyahu will join a coalition with Livni, it follows that the key to forming a coalition will be attracting Labor and Shas, or one of the two and a smattering of smaller parties. It is dangerous to predict outcomes in Israeli politics - most analysts predicted a definite Likud/Netanyahu victory in today's elections. That said, it seems to me that Netanyahu might have the edge in forming a coalition. Pakistan releases AQ Khan - how about some answers? Last week, the Islamabad High Court ordered the Pakistan government to release nuclear scientist Abdul Qadir Khan from house arrest. 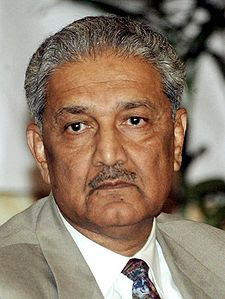 Khan was placed under house arrest in 2004 after he confessed to operating a nuclear weapons technology proliferation network - the so-called "AQ Khan network." The in-home confinement was the extent of his punishment - he was pardoned almost immediately after his confession by then-President Pervez Musharraf. Khan confessed to transferring nuclear weapons technology from Pakistan to Libya, Iran and North Korea. When Khan later denied providing technology to Iran and North Korea, American intelligence agencies requested the opportunity to question the scientist. All such requests have been denied. The Pakistani intelligence service, the Inter-Services Intelligence directorate (ISI) has provided only limited answers to question provided by the United States. It is doubtful that more answers are forthcoming to questions about exactly what the AQ Khan network provided to Iran and North Korea. Khan is regarded as a national hero in Pakistan. North Korea has agreed to halt its nuclear weapons program, however, Iran remains a major concern for both the West and Israel. Iran has undertaken a major nuclear research and development program which it insists is for peaceful purposes and the generation of nuclear power. Iran's stated program goals are almost laughable for a nation awash in oil and natural gas. Iran flares off more energy from its oil and gas wells than the potential power that could be generated if all of Iran's declared nuclear facilities were dedicated to the effort. The program has all the trappings of a nuclear weapons program. Given Iran's interest in long-range ballisitic missiles and its threats against Israel, most analysts have concluded the country is intent on developing nuclear weapons. During my recent visit to Israel, Israeli intelligence analysts reiterated their concern over Iran's nuclear ambitions. 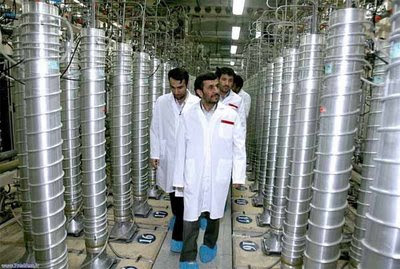 They assess that Iran could have enough low-enriched uranium to further refine into weapons grade fissile material sufficient for one nuclear device by the end of this year. 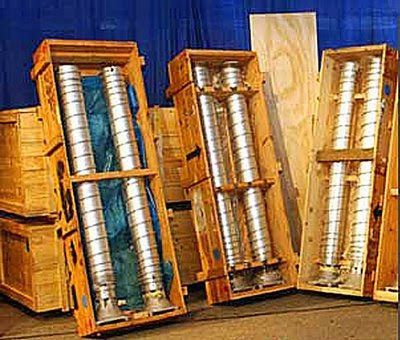 The Israelis do not know if Iran possesses the capability to turn a device into a deliverable weapon. For that, they (and we) would like to have some answers from AQ Khan. Did he provide that type of information and technology to Iran? If they enrich enough fissile material for a weapon, do they already have a design? If there is a design, it is for a missile warhead or an air-delivered bomb? Pakistan claims to be an ally of the United States. If AQ Khan did in fact violate Pakistani law, the ISI should provide answers to questions about what was provided to whom. That said, I will not hold my breath. The government of Yemen released 170 men suspected of having ties to al-Qa'idah after the men signed pledges not to engage in terrorism. Yes, you read that correctly. Sign a piece of paper that you will behave and you are set free. What an interesting method to root out terrorism in one of the most corrupt countries on the planet, and the new primary venue for al-Qa'idah's operations on the Arabian Peninsula. Al-Qa'idah is on the rise in Yemen. This is not a secret - it has been announced by senior al-Qa'idah leaders. Al-Qa'idah members in Saudi Arabia were directed to relocate to Yemen because the security situation in Saudi Arabia has become too difficult for the group. Since 2003, after a series of al-Qa'idah attacks on residential compounds in Riyadh, the Saudis have aggressively hunted down al-Qa'idah members, killing many of them. Memo to Yemeni President 'Ali 'Abdullah Salih: That is how you fight terrorists - hunt them down and kill them. You don't make them sign a piece of paper and let them go. You surely know the Arabic saying, "...hibr 'ala waraq" (just ink on paper). Is this how you plan to deal with the almost 100 Yemenis currently detained in Guantanamo that will likely be repatriated to your custody? I also note in the news that the same Yemeni government that released 170 suspected terrorists has announced an upcoming offensive in the northern city of Marib, the epicenter of al-Qa'idah presence in the country. These announcements generally provide enough warning to the al-Qa'idah militants to allow them to seek refuge elsewhere until the Yemeni army rounds up a few of "the usual suspects," declares a major blow against terrorism and returns to its garrisons. Yemen has a terrible record when it comes to keeping terrorists in custody. Perpetrators and suspects in the bombing of the USS Cole in which 17 American sailors were killed have been in and out - mostly out - of custody. Successful jailbreaks and escapes, while not commonplace, seem to occur with alarming frequency when suspected al-Qa'idah members are involved. This recent release of suspects underscores my past concerns about, and objections to, returning Yemeni Guantanamo detainees to Yemen. (See my earlier article, Yemen and the Guantanamo 245) The Salih government is notoriously weak and corrupt. Once we repatriate the detainees, there is no guarantee they will remain in custody. Perhaps they will sign a pledge not to be terrorists anymore. During my recent trip to Israel, I had the opportunity to discuss the current political landscape of the Middle East with Professor Asher Susser, Senior Research Fellow at Tel Aviv University's Moshe Dayan Center for Middle East Studies. Susser is one of the more controversial political scientists in Israel today, but he has the uncanny ability to see it like it is. Professor's Susser's assessment of the shifting series of alliances in the region is based on the changing paradigm of power brokers in region. According to Susser, none of the three main players in the region - considered by many as the "Arab world" - are Arabs. The three power brokers today no longer include Saudi Arabia and Egypt, but have shifted to Iran, Turkey and Israel. 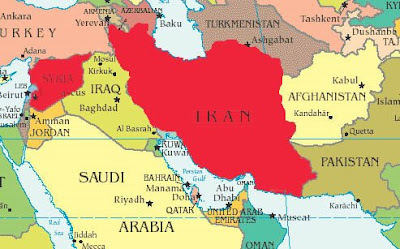 Iran has emerged as the power broker in the Persian Gulf, almost wholly due to the defeat of Iraq and the removal of the Saddam Husayn regime. Israel continues to be a power player in the central Middle East, although its previous interlocutors Jordan and Egypt have larger lost influence at the expense of Turkey. Turkey has a defense treaty with Israel and in the past has been an "ally of convenience," but since Israel's Operation Cast Lead in Gaza, Turkey has been uncharacteristically critical of Israel. Israel was particularly stung by the repeated verbal criticisms of its actions against Hamas by Turkish Prime Minister Recep Tayyip Erdogan. Turbulence in Israel's relationship with Turkey can cause problems on a variety of levels, not the least of which is the issue of Israel's concerns with Iran and its nuclear "research" (read: weapons) program. The overarching current issue for Israel is its relations with the Palestinians, specifically the situation in Gaza. Of course, Israel's relations with the Palestinians goes back to at least the United Nations partition plan - UN General Assembly Resolution 181 of November 1947 - for the original two-state solution. The war that resulted from Israel's declaration of statehood on May 14, 1948 created a "file" of Palestinian refugees, the 1948 file. The Six Day War of 1967 created yet a second file of refugees. One of the demands of many of the Palestinian rights and liberation groups is the "right of return" to their original homes, be they of the 1948 or 1967 file. 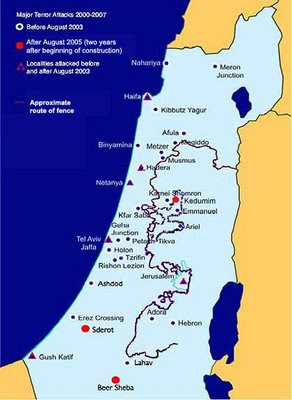 Most Israeli politicians believe that the 1967 file can be addressed - many Israelis believe that reverting to the border as they were on June 4, 1967 border (or very close) is possible in a "land for peace" arrangement. That number has decreased since the Israelis withdrew from the Gaza Strip in 2005 and have been exposed to 8000 rocket and mortar attacks since. As for the "1948 file," it will be almost impossible to address their issues. Exacerbating the conflict between Israelis and the Palestinians is the status of the Israeli Arabs. These are Arabs, both Muslims and Christians, who found themselves inside the borders of Israel after the War of Independence in 1948-1949. They are citizens of Israel, with all rights included - they have Israeli passports and serve in the Knesset. They are, however, exempt from Israel's mandatory military service. Over the years, Israeli Arabs have gained political power via the ballot box - their population growth generally exceeds that of the Jewish Israelis - and have demanded that Israel no longer be called a "Jewish homeland." If current demographic trends continue, Israel could be an Arab country by the middle of this century. After a few decades of wanting to have an agreement with the Palestinians, many Israelis are subscribing to the "no-solution solution." In other words, they are beginning to believe that there is no foreseeable solution and merely want to manage the conflict. Hopefully that involves a long-term ceasefire. The main obstacles to a solution to the Palestinian issue? What do we do with the 1948 refugees, the "1948 file," and of course, what to we do with Jerusalem, holy to three religions? Jerusalem remains an even thornier issue. Israel's Anti-Terrorist Fence - Long Term Solution? 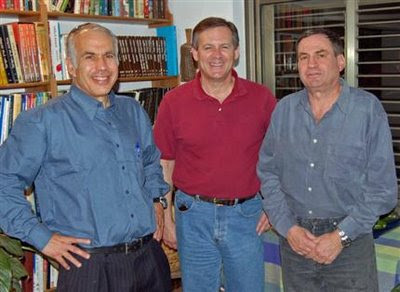 During my trip to Israel last month, I had the opportunity to spend an afternoon with Israel Defense Forces Major General (Reserve) Uzi Dayan and Israeli Air Force Lieutenant Colonel (Reserve) Danny Grossman. 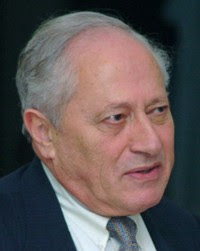 Uzi served as the national security advisor to former Prime Minister Arik Sharon and was one of the key proponents of Israel's controversial anti-terrorist fence. Danny has the unique distinction of flying the F-4 Phantom fighter jet in both the U.S. Air Force and the IAF. Uzi and Danny were kind enough to take me to, and through, the fence that separates Israel and the Palestinian West Bank. I took these photographs on both sides of the fence/wall. Uzi wanted to make sure that I understood that the barrier is a security device, not a border. The barrier follows the approximate June 4, 1967 armistice line between Israel and what was then the Jordanian-administered West Bank. It does make some fairly deep incursions into the West Bank to extend protection to Israeli settlements on the West Bank. 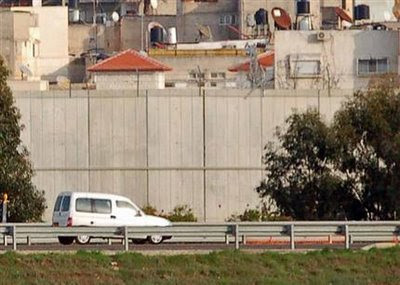 At several areas, the fence is actually a concrete wall to prevent Palestinians from firing small arms at Israeli motorists. There is no argument that the barrier has been successful in preventing terrorist attacks from the West Bank. According to the official Israeli government anti-terrorist fence website, suicide bombing attacks from the West Bank have dropped drastically to almost none. Even the leader of the Palestinian Islamic Jihad, Ramadan 'Abdallah Shalah, admitted that the security barrier has made "resistance" difficult. It is possible to cross the security barrier - there is a crossing about every mile or so. Of course, you have to have authorization. 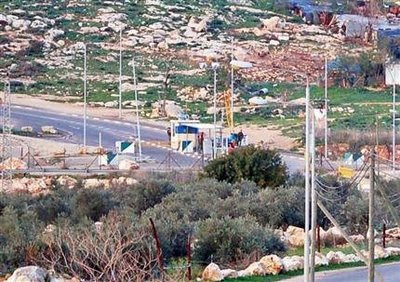 Palestinians have very little chance of passing the Israeli army checkpoint to allow them into Israel. Israelis have a slightly better chance of entering the West Bank. We were able to pass through easily - most of the soldiers recognize Uzi as the former commander of the Central Command and the elite commando unit Sayaret Maktal. Based on the Oslo Accords, there are three area designations in the West Bank. Area A is under Palestinian jurisdiction. 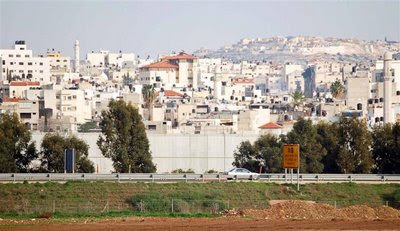 The town of Qalqiliyah, shown in these photographs, is an Area A. Israeli forces can control who enters and leaves the town, but inside the town, the Palestinian Authority is in charge. Qalqiliyah sits at the narrowest point of Israel - it is only 7.5 miles from the town to the Mediterranean. Area B is under joint Israeli-Palestinian jurisdiction, and Area C is under Israeli control. Area C contains the Israeli settlements on the West Bank. 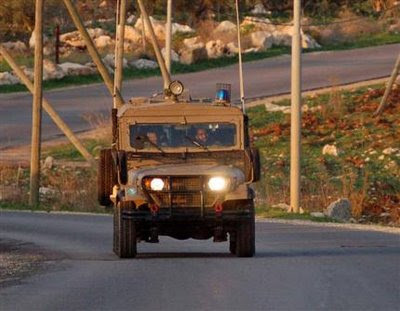 The IDF was re-deployed to the area in the aftermath of the violoence in the so-called "al-Aqsa intifadhah" of 2000. They are still there, supporting the Palestinian Authority forces. There has been a lot of criticism of the security barrier. It has been called a scar on the landscape, an eyesore, an insult to free movement, ugly. That said, it has been effective in lessening the violence directed against Israeli civilians. The recent conflict between the Israelis and Hamas in Gaza has re-opened the debate about possible solutions on the Palestinian track of the peace process. Many believe there is no solution in the immediate future - the "no-solution solution" will include measures like the anti-security barrier. In the absence of a solution, just wall off the combatants and manage the conflict as best you can. On February 3, Iran launched its first domestically-produced satellite into orbit on a Safir (Ambassador) launch vehicle. The launch was timed to coincide with the 30th anniversary of the Iranian revolution that brought Ayatollah Khomeini to power. Iran has at least one other satellite in orbit, but that was launched for them by the Russians. The fact that Iran has a presence in space in and of itself is not alarming - it is the demonstration of the technologies required to put a satellite into orbit that is causing concern in the West, and for sure in Tel Aviv. A two stage launch vehicle is basically an intermediate range ballistic missile without a guidance system. Instead of carrying a warhead that falls to earth, the launch vehicle carries a satellite into orbit. One can be used for the other. The U.S. Air Force has used decommissioned intercontinental ballistic missiles to place satellites in orbit. This is reminiscent of the so-called Iraqi space launch program in 1989. 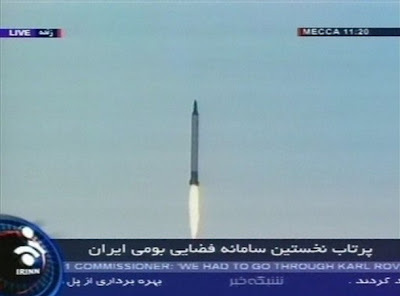 Proud of their efforts, Iraqi engineers televised the first test launch. Prominently displayed on the control console in Arabic was the designator "Project 144/2." Of course, to most people that meant nothing. To U.S intelligence analysts, Project 144/2 was the Iraqi ballistic missile program. We surmised at the time that the space launch vehicle was nothing more than a long range missile project. One of the failures of the Iraqi program was the inability to properly fire the second stage of the vehicle. Multistage rockets/missiles are required for longer ranges. The Iranians do not have this problem - they acquired much of the required technology from the North Koreans. Most of Iran's missile designs are copies of North Korean systems. The North Koreans have the know-how, and Iran has the money. Not only is Iran intent of continuing its nuclear research program - which most analysts believe is leading to the development of a nuclear weapon - it seems committed to the development of longer range delivery systems that threaten Israel and beyond. The Europeans are concerned about Iran's nuclear weapons program and the missile delivery systems being developed, and probably more likely to support the deployment of an American anti-ballistic missile system in Poland and the Czech Republic. 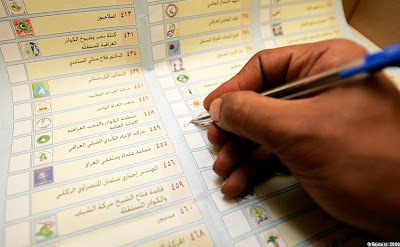 Iraqi elections - a step in the return to normalcy? The recent Iraqi elections, despite the low turnout, may have some good news for the long-term stability of the country. Unlike 2005, the Sunnis did not boycott the elections this time, turning out in large numbers to ensure they were not left out of the government. The decision to not have voting in the contested area of Kirkuk is a problem, but overall, the elections were completed in a relatively calm and orderly manner. When all the votes are tallied, it appears that the winners will be the more secular parties and blocks, at the expense of the Islamic parties in both the Sunni and Shi'a communities. This is not surprising. The Iraqis, be they Arab, Kurd, Assyrian, Turkomen or Yazidis, have generally favored secular governments. Despite the brutality of the Ba'th regime under Saddam Husayn, the Iraqis supported the secular nature of the party, including women's rights, universal education and freedom of religion. It would appear that support of these ideals is on the rise. The losers are the Islamic parties, particularly the Supreme Islamic Iraqi Council and the followers of radical cleric Muqtada al-Sadr. The Dawa' party of Prime Minister Nuri al-Maliki, despite being a Shi'a religious party, fared well since al-Maliki recast his image from being a Shi'a leader to being an Iraqi nationalist. His willingness to clamp down on Shi'a militias in Baghdad and al-Basrah gained him support among secular Iraqis, including the Sunnis who at one time feared a possible "Shi'a majority tyranny." According to journalist Leila Fadel, the Baghdad bureau chief for McClatchy Newspapers, Iraqi voters did not turn out in larger numbers because they feel "disenchantment with a democracy that, so far, has brought them very little." Very little? The mere fact that they are having free elections might be considered something. How about freedom of speech, freedom of assembly, the right not to vote (under Saddam Husayn, voting - for him - was mandatory)? It reminds me of a demonstrator with sign in Baghdad shortly after the return to Iraqi sovereignty that read, "Where is my freedom?" How ironic - the fact that he was able to stand there with the sign was his answer. Iraqis voting for secular leaders is a good sign - maybe this is one step toward normalcy. Hey Hamas - Do you want Netanyahu as prime minister? Despite its self-declared January 20 ceasefire in the conflict with Israel, Hamas fired ten rockets and a barrage of mortar rounds into southern Israel on Sunday. 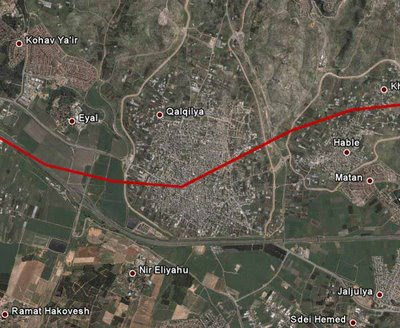 Most of the mortar rounds and short-range home-made al-Qassam rockets impacted in Nahal Oz, a small kibbutz just inside Israel near the Gaza Strip. One al-Qassam rocket landed near a kindergarten on a school day, but no one was hurt in that attack. 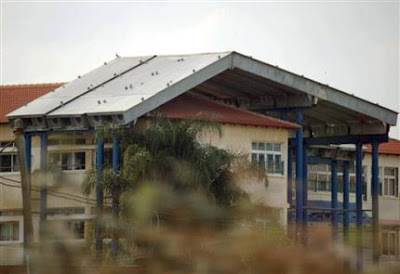 However, two soldiers and a civilian were wounded by the mortar fire. A longer-range rocket, probably an Iranian-supplied Grad, landed in Ashkelon. Israeli aircraft later struck tunnels near Rafah on the Egyptian border and targets in the northern Gaza Strip. At about the same time as Hamas militants were firing rockets at Israel, Hamas representatives were telling the Egyptians that they would agree to a 12-month ceasefire to begin later this week. Significant in the ceasefire proposal is a Hamas agreement that Mahmud 'Abbas's Palestinian Authority will control the Gaza border crossings with Egypt. This meets a key Israeli demand that Hamas not be in control of the crossings, and flies in the face of Hamas's ridiculous claims of victory in the conflict with Israel. Also on Sunday, Khalid Mish'al, the Damascus-based political leader of Hamas, made a trip to Iran. Most of the money, weapons and training used by the fundamentalist group is provided by the Islamic Republic. During Mish'al's meeting with Supreme Leader Ayatollah Ali Khamenei, the Iranian leader congratulated Hamas on its "victory" in Gaza. Hamas, as well as Iran, is fully aware that Israeli elections are scheduled for February 10. When I was in Israel just ten days ago, the common belief was that the Likud party would win the election and Benjamin "Bibi" Netanyahu would emerge as the next prime minister. The Kadima party, led by Foreign Minister Tzipi Livni, and the Labor party, led by Defense Minister Ehud Barak, do not have the votes to win the election. Labor has gained some support since the war in Gaza, but not enough to challenge either Likud or Kadima. Netanyahu is regarded as the most hard line of the three. Every time Hamas violates the ceasefire and reinforces the belief among the Israeli electorate that Hamas has no interest in peace, it strengthens Netanyuahu's position - he has vowed to destroy Hamas. He also has gone on record stating that Iran will not be permitted to develop a nuclear weapon. "Iran will not be armed with a nuclear weapon," he said, "that is a fact." Hamas (and Iran), if you want to ensure that the next prime minister is Bibi Netanyahu, keep on firing rockets into southern Israel. The Israelis will support his goal to eliminate you. 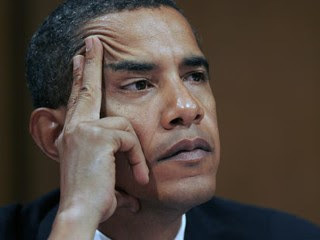 Soon after becoming President, Barack Obama reiterated his campaign pledge to enter into negotiations with Iran to try to break the impasse over Iran's nuclear program. During the campaign, he indicated that he would talk with the Iranians without preconditions. As with many of his initial positions - "don't ask, don't tell" and Guantanamo come to mind - reality has set in and there have been changes. Now the President is ready to begin diplomatic overtures to the Islamic Republic of Iran if Tehran is willing to "unclench its fist." Words are taken very seriously in this part of the world, especially in Iran. Almost immediately following his remarks during an interview on the Arabic-language network al-'Arabiyah, the President received the predictable responses from the Iranians. It was as if the talking points were coordinated in Tehran - they probably were. - Iranian President Mahmoud Ahmadinejad criticized the President's remarks as insufficient, demanding not only that the United States apologize for "crimes against Iran" over the last 60 years, but that Mr. Obama institute "deep and fundamental" changes in U.S. policy in the region. Of course, Ahmadinejad may have missed the point that Obama's willingness to talk to the Iranians is a rather significant change. - In the spirit of piling on, Iran's vice president in charge of executive affairs, Ali Saidloo, reiterated Ahmadinejad's demand for an apology - evidently that is the new threshold for talks with the Iranians. - This was followed by Iranian foreign minister, Manoucher Mottaki, who said that Obama's words are not enough, that there needed to be a practical demonstration of a change in American policies before the Islamic Republic will talk to the United States. 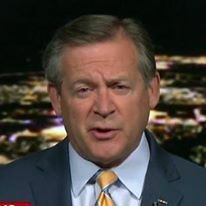 He went further to warn the President that Iran's uranium enrichment program was not a topic for compromise. - The official spokesman for the Iranian government, Gholam Hossein Elham, characterized Obama's willingness to talk to Iran as proof that American policy in the region had failed. He went on to claim that the new President realizes that he needs help from Iran to achieve American goals in the region. - Former Iranian President Akbar Hashemi-Rafsanjani criticized Obama for continuing the Bush administration's policy of not specifically taking the military option off the table over Iran's refusal to halt its uranium nuclear enrichment program. As I said, the responses were predictable. If you want to engage the Iranians in dialogue, it is not helpful to make accusations during an interview on a major Middle Eastern television network. The Iranians understand back-channel communications. The Obama administration should have used such channels to make the President's positions known to the Iranians. Once there was an agreement on a framework for dialogue, an announcement would be appropriate. All President Obama can do now is make concessions, the exact wrong thing to do. While I am sure he views his actions as bold and strong, in the region this makes him look weak. In the Middle East, perception is reality. I would advise the President to hire a good Middle East specialist who understands the region, as it is obvious he does not.